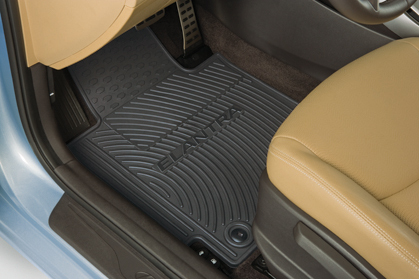 Premium All Weather Floor Mats. Deeply sculpted channels trap water- road salt- mud- and sand. Flexible rubber material wont curl- crack or harden in sub-zero weather. Anti-skid ridges to prevent shifting in your vehicle. Protective- non-stick finish makes cleanup quick and easy.